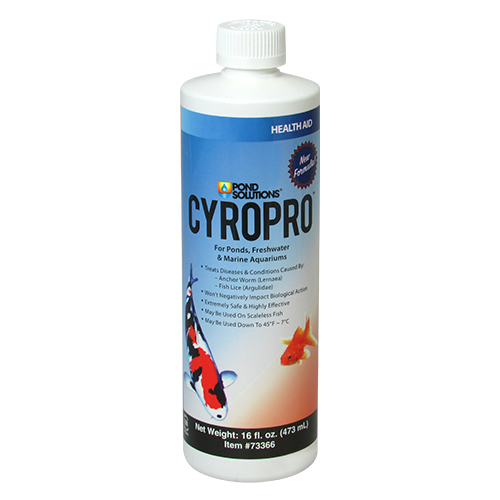 CyroPro™ is a ready-to-use, liquid concentrate that was developed to offer the hobbyist an effective way to control conditions caused by anchor worm and fish lice in their pond, freshwater or marine aquarium. 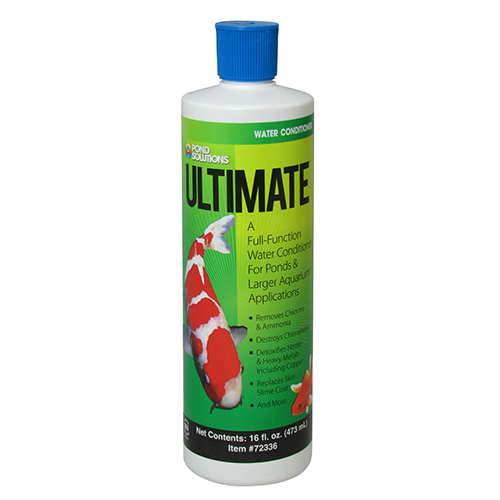 Extremely safe and super effective this revolutionary product offers you rapid control yet will not negatively impact your biological filtration. Send those undesirable visitors on their way, try CyroPro™ today! 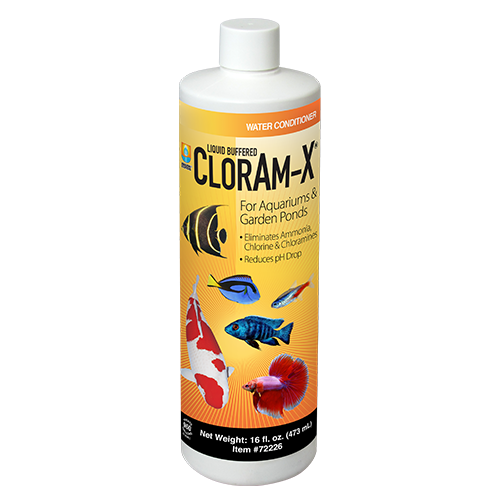 Use CyroPro™ any time unwanted anchor worm or fish lice are noticed. 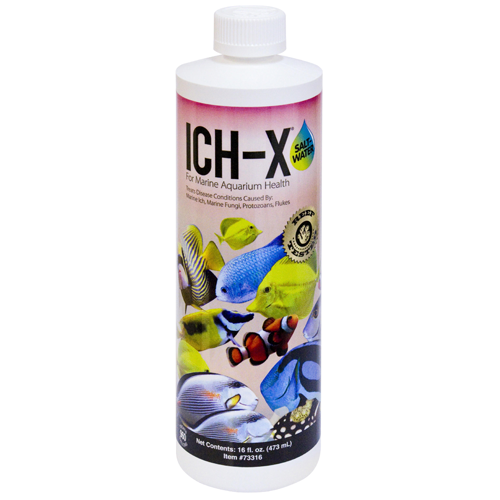 Compatibilities: CyroPro™ liquid is safe for use on all fishes, reptiles, (e.g. turtles) amphibians, (e.g. tadpoles and frogs) and mollusks (e.g. snails) in ornamental ponds or aquariums. It must not be used where crayfishes or other crustaceans are being cultured. Cyromazine (N-cyclopropyl-1,3,5-triazine-2, 4,6-triamine) in an Aqueous Solution. DANGER: MAY BE HARMFUL IF SWALLOWED! IF SWALLOWED: Call a physician or Poison Control Center. Drink 1 or 2 glasses of water or milk and induce vomiting by touching the back of the throat with finger, or, if available, by administering syrup of ipecac. Do NOT induce vomiting or give anything by mouth to an unconscious person. In case of contact, immediately flush skin or eyes with plenty of water for at least 15 minutes; for eyes get immediate medical attention. In case of contact, immediately flush skin or eyes with plenty of water for at least 15 minutes; for eyes get immediate medical attention. 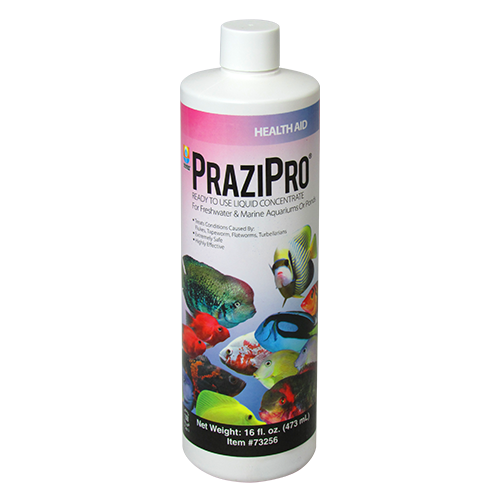 Because We Care: CyroPro™ is non-toxic to commonly kept aquarium or garden pond animals or plants and has been developed to offer assistance to aquarium or pond keepers who are encountering problems with unwanted fish lice or anchor worms and for ease of use by the user. 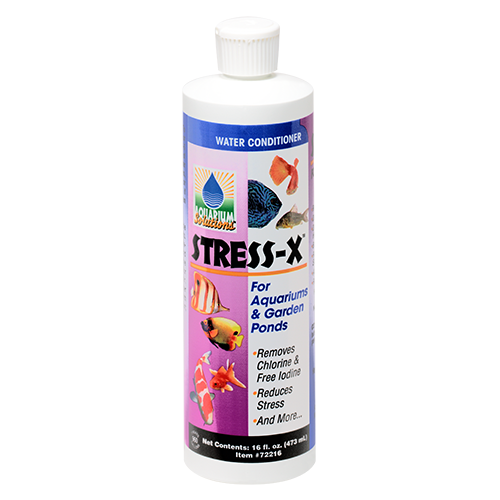 FOR AQUARIUM OR POND USE ONLY. NOT FOR HUMAN MEDICAL, VETERINARY, OR FOOD USE. NOT FOR USE AS AN ECONOMIC POISON.